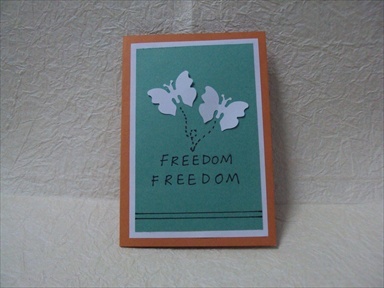 Please check this link for the card!! Today is a bit hectic.. Not in a mood to do anything but some how made this card.. Ok guys see ya..
CFC37: Create a Clean And Simple project using the sketch.. 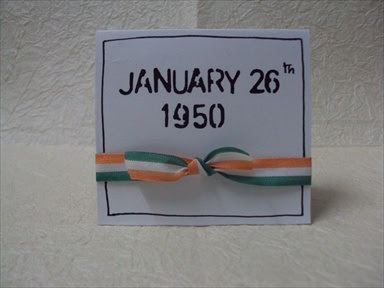 So this card is soo simple to make.. Lets have a look..
Ok everybody have a Good Day!!! 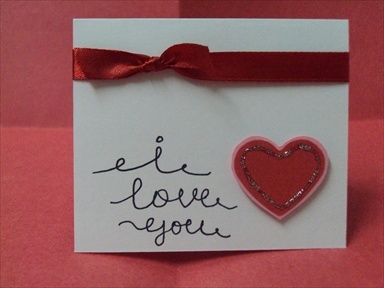 I made this card for "For the love of crafting' and the challenge is to make a Valentine's day project with color pink. 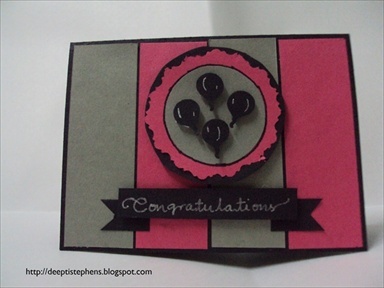 I used some glitter patterned paper and stickers..
A new challenge from Beyond Grey, and this is their 1st challenge and the challenge is "Make a card / layout or a project using GREY and PINK with a drop of BLACK..
Nice colors rt.. Anyway I made a card using these colors..
How are you all?? 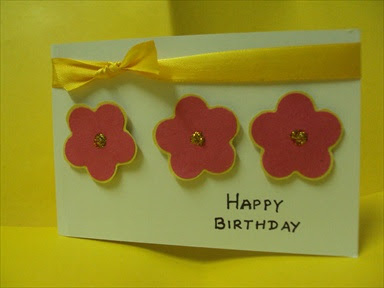 Here is another simple birthday card, just made it for my mom. Her bday is on 21st of Jan, but i made it now because she is moving to kolkata, so i must courier her asap.. Ok Mummy!! Happy Bday..
January 26th is ahead. 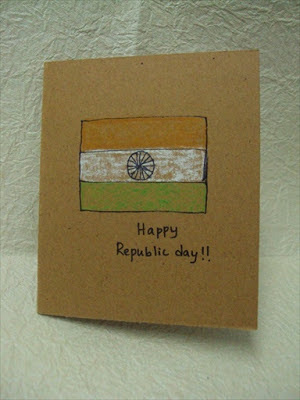 So, I made three Republic day cards. These cards are Clean and Simple. Anyway Happy Republic Day and hey!! don't forget to enjoy the Essence of Patriotism.. Very very simple and clean card I made. I used red ribbon, heart punch and as always glitter too.